at our booth in Nuremberg. The Brau Beviale is the platform for exchange information. One of our visitors described the Brau as "big class reunion". Indeed we met many good friends, customers and suppliers and heard about their news in their production facilities and the actual requirements on the process technology. 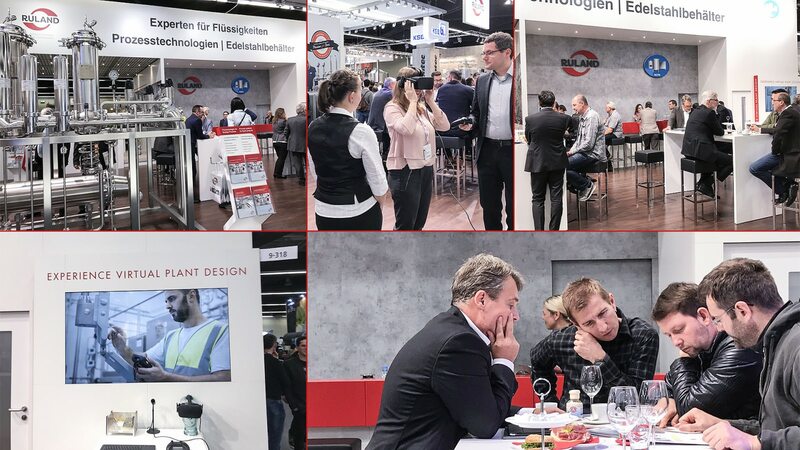 As usual, it was a pleasure to partipacte in Brau Beviale, and we thank our visitors for the great discussions. Save the date: Next BrauBeviale will be from 12. to 14. November 2019. In Europe, the consumption of fruit juices is still high. According to the German Verband der Deutschen Fruchtsaft-Industrie (Association of German Fruit Juice Industry), the German fruit juice industry produced in 2017 about 4 billion fruit and vegetable juices, fruit nectars and non-carbonated fruit juice drinks. This corresponds to an annual turnover of 3.5 to 3.9 billions Euro. [NP1] Still very popular are, besides new juice blends, the classic drinks as apple and orange juice. The focus of the consumer is on high-quality NFC-juices (not from concentrate juices). 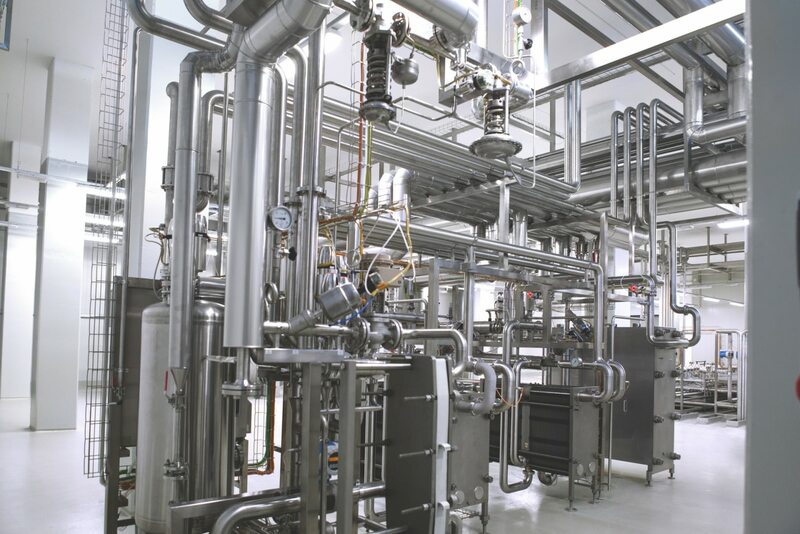 Ruland supplies state-of-the-art plant systems for the acceptance and storage of materials for the production of direct juices and juice concentrates. Ruland includes in the plant design highest hygienic standards, general manufacturing guidelines as well as the individual requirements of the particular ingredients and contents. Directly after pressing, a flash pasteurizer heats up the juices. A degassing unit reduces the O2 content of the juice. An aroma recovery unit keeps volatile flavors in the product. Depending on the product recipe, the heating systems holds a specified temperature for a defined time and cools down the juice immediately after the heating to save the full fruit flavor, vitamins and other ingredients. This careful processing preserves the juices without any chemical additive. Following to the physical conversation, the fresh juices is stored in storage tanks cleaned, and sterilized by steam. Aseptic valve technology and hygienic design of the complete storage system assure perfect hygienic conditions. 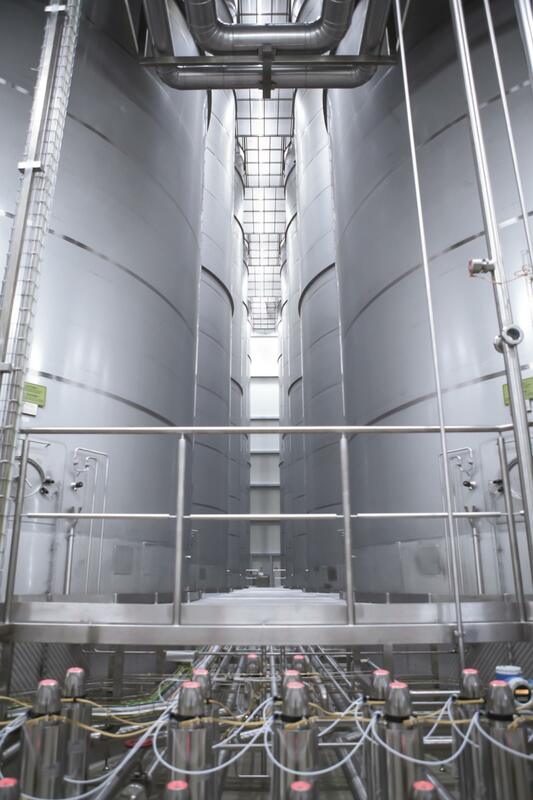 Modern bulk tank farms have stainless steel tanks with a volume of 1 million tank liters and more. The aseptic storage in these tanks it done under protective atmosphere with overlays of sterile air or nitrogen. This storage system reduces the oxygen in the stored juices and prevents microbiological contamination of the product. Magnetic agitators support the hermetic design of the aseptic tank farm. Instead of a mechanical seal a magnetic coupling is used to reduce the external contamination. With full functionality, the magnetic agitators provide homogenous product in the large volume tanks. For the full or partial aseptic emptying of the tanks for mixing or filling in tank trucks, the product passes an aseptic double-seat valve cluster. As all modern process systems, the complete tank farm can be fully cleaned in process (CIP) and be sanitised with steam. Temperature and pressure sensors check continually the optimum storage conditions and report the results to the system control. The control interprets and documents all relevant values of the tank farm. This way, the systems controls and regulates the conditions in the tank automatically. Further, the control system can transfer all values to the higher-level system of the juice producer. Via a visualization system with touch screens, the operator of the tank farm starts all automated processes. For the management of production and cleaning recipes, the management of the production or the planning of the optimum capacity utilization, Ruland offers the RPMS software. 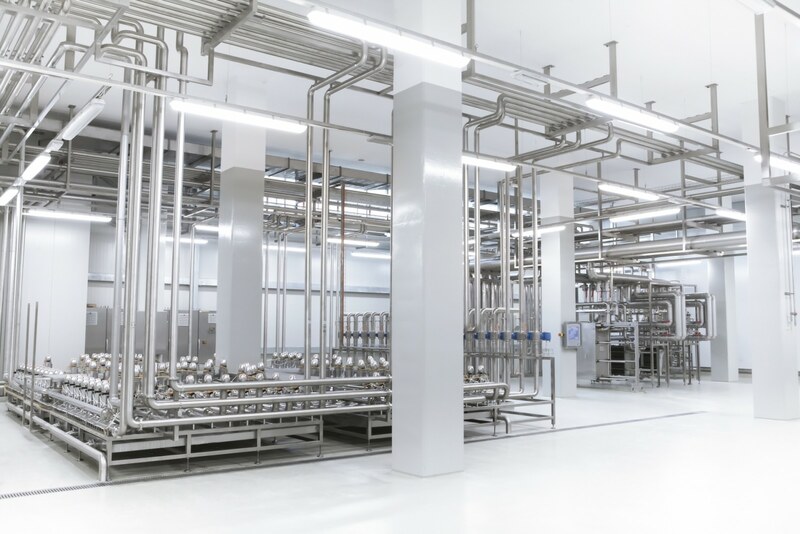 With the use of the aseptic storage systems and technology a juice producer can store a high volume of juice with an all-season high-level and homogenous quality. 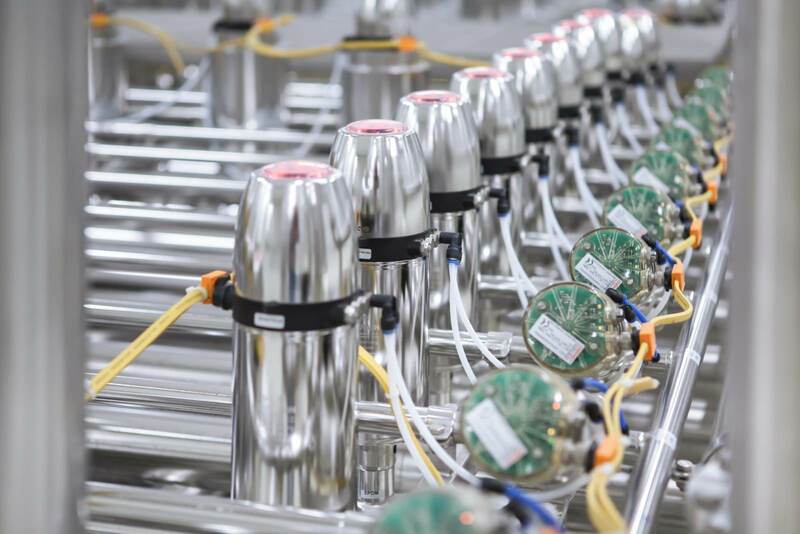 Six running bulk tank farms for NFC juices show the functionality of the systems. Ruland engineers and builds them since 2009. The most recent tank farm is in Poland and stores fresh apple juice of a very high quality. The process can be easily transferred to the aseptic storage of any quality liquid. Visit an aseptic tank farm engineered, build and started-up by Ruland and the process technology that goes along with such a big tank farm. Please feel free to take a virtual look at our tank farm, and experience plant design made by Ruland. Please contact Nicole Engel for your free entrance ticket to BrauBeviale, T. +49 6327 382 401, engel@rulandec.de. Visit us in Nuremberg, 13. – 15.11.2018. We’re looking forward to meeting you.